Join Sunday rippers Erik Elstran, Brett Silva, Julian Arteaga, Jake Seeley, Ben Allen, and Jared Duncan on the road from Texas to Louisiana and on to the sometimes great state of Florida for the full Swampfest experience. Utter mayhem! Massive thanks to Trey Jones and everyone who sent it at Swampfest…. Can’t wait for next year! 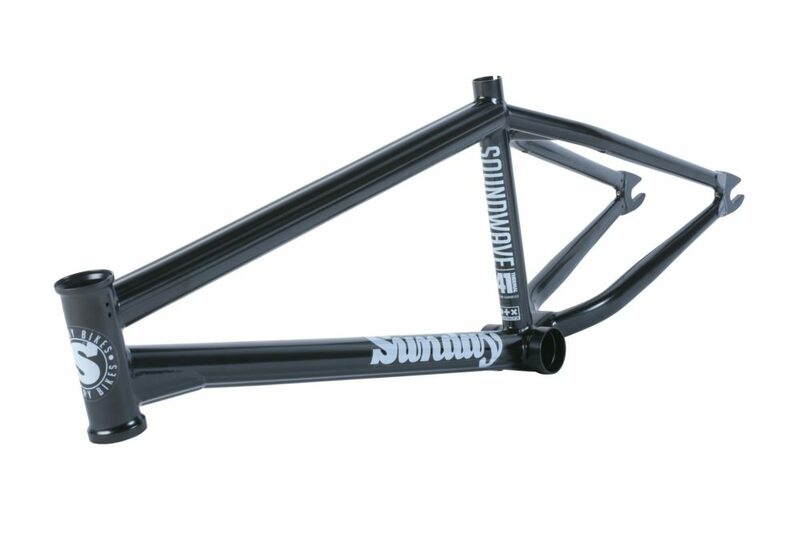 New Soundwave v3, Nighshift and Street Sweeper Frames are in stock now, but probably not for long. Go HERE to check them out. Jonathan just released a killer edit he filmed with Preston, his Welcome To Sunday edit is playing above, and there’s a lot more to come. We’re hyped to have him on board. Hit play to check out Gary, Kevin, and Dennis ride the Black Pearl int he Caribbean. SoCal shredder Jonathan Medina and his boy Preston Okert cooked up some heat. Enjoy! After a year of filming here and there and a while of sitting on clips we finally got it put together. Had so much fun filming this and seeing Jonathan go in on some clips. Could’t be more hyped to put this out. Shoutout Dan for filming in Japan. Check out Inho Jo’s rad Sunday setup. Shoutout to Shredd Bikes! Welcome Trent Lutzke to Sunday! Trent comes highly recommended by Jake Seeley, and based on his welcome video he is full send and high energy. Trent hails from Michigan’s upper peninsula, where he knows all the gnarly spots and ain’t skeered to use them to their maximum potential. 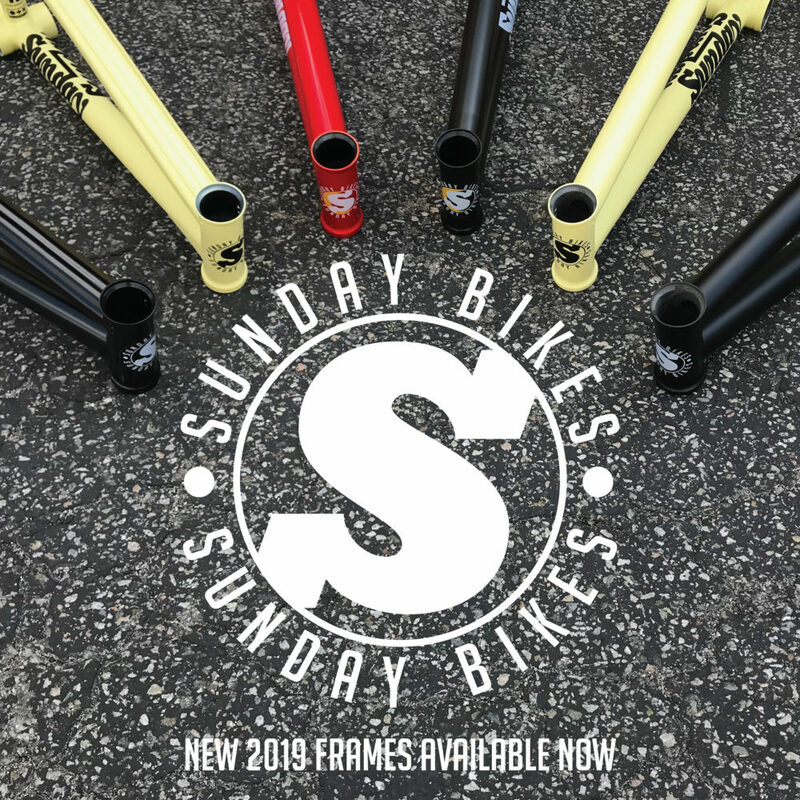 Trent’s first bike was a Sunday, and we’re hyped he’s back on board and all looking forward to watching him send it in person…. Chris Childs, Mayo, and Jeff Dustin took a B-CAVE trip out to the good ol’ Midwest. First stop Chicago, where the Chicken and Waffles squad showed the boys all the grit the Windy City had to offer. A short 90-minute drive later the crew made it up to MKE to cruise the streets of Brew City where massive amounts of custard and shred were consumed. Shoutout to Jeff Dowhen, Jeff K, John D, and all the dudes who came to cruise. Jared Duncan rides the Soundwave. This video is proof. Enjoy! Now with shorter chainstays and taller headtube. 20.75″, 21″, or 21.25″ top tube. Hit play to check out our international riders Daniel Portorreal, Jan Mihaly, Markus Reuss, Lukas Häusler, Robin Heiderich, and the rest of the Sport Import crew in Tenerife. Im Februar 2018 bot sich uns die Möglichkeit, beim SIBMX-Teamtrip nach Teneriffa dabei zu sein und so dem deutschen Winter wenigsten für ein paar Tage ein Schnippchen zu schlagen. Mit einer Wahnsinnsvilla direkt am Wasser und drei Mietwagen ausgestattet, machten wir uns daran, einige der besten Spots der Insel abzuklappern, während daheim noch Minusgrade herrschten. Das Radfahren allein war schon ziemlich episch, aber auch darüber hinaus hatten wir jede Menge Spaß. Neben reichlich BMX-Action waren nämlich unter anderem stundenlanges Billardspielen, Sekt trinken im Jacuzzi, nächtliche Tattoosessions und Kochmissionen auf Fünf-Sterne-Niveau an der Tagesordnung. Am Ende waren sich alle einig: Der SIBMX-Trip nach Teneriffa war einfach nur geisterkranka! Danke SIBMX, danke Bodo Hellwig und danke an die ganze Crew. Es war der Wahnsinn!